There is an increase of wind farms in Texas. This follows an announcement by Lincoln Renewable Energy that work has begun on a 300 megawatt wind farm project called Hereford 2. Approval for the registration of another planned project called Miami Wind I have also been granted. Both projects will produce an average of 300 and 280 megawatts respectively. That is enough energy to power an average of 205,800 homes on a daily basis. Lincoln Renewable Energy is piloting Hereford 2 which will be situated on 16,000 acres of land in Castro County. The company sold Hereford I which generates 200 megawatts to EDF Renewables. Miami Wind I will be constructed by Invenergy Investing Company LLC and will be located in counties of Hemphill, Gray and Roberts. The general contractor for both projects is Blattner Energy. 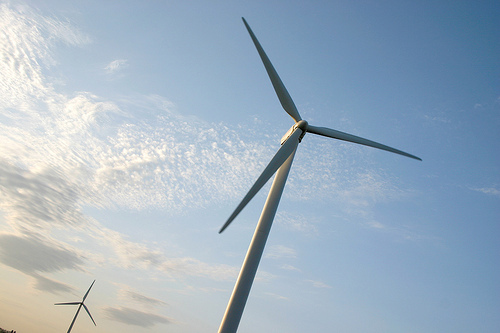 The electricity generated by the wind farms will be sold on the wholesale market and used by consumers mainly in the Houston area. Texas is already the largest wind producers in the country (every things bigger in Texas!). Most electricity providers offer plans that contain up to 100% renewable energy from sources like wind. Click on the link below to read the original story.